This DVD features professionals in the corrections field (non-A.A. members) discussing the value of A.A. meetings in correctional facilities. Designed for use in training programs for corrections personnel at all levels. It can also be of use to probation officers, lawyers, judges, and others interested in how A.A. can help in the prison system. facilities. Also includes assorted pamphlets; A.A.
A.A.s carrying the message into treatment facilities. letters; catalog and order forms. 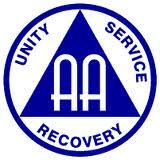 A collection of videos on one DVD in which A.A. members who got sober in their teens and early twenties talk about their experiences in Alcoholics Anonymous. The videos, which run about five minutes each, were submitted by the members themselves and are anonymity protected. English, French and Spanish compilation. Closed Captioned. of the concerns that hold members back from this rewarding service. Closed Captioned. the message into these facilities.